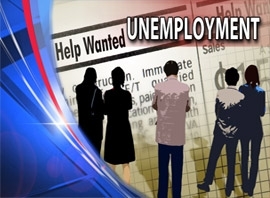 The Kansas Department of Labor says the state’s June unemployment rate stood at 6.5 percent. That’s up from 6.4 percent in May, but down from the 7.2 percent rate in June 2009. In a report being released Tuesday, the state agency said Kansas lost about 10,100 jobs from June 2009 through last month. But there were some bright spots. The department says the construction industry had about 4,100 more jobs this June than it did in June 2009. That’s an increase of almost 7 percent.